easily down-loaded to your computer. 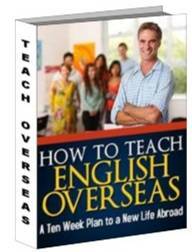 This is a book for those who know a little English but want to improve their skills without a teacher. The book is ideal for those studying alone or with a partner. The book contains hundreds of commonly used expressions that are easily learned and can be put to use immediately in conversations with others. Topics covered include common situations and functions that one is likely to encounter on a daily basis. This is a book of ready made lesson plans for those teaching English conversation to students with limited English ability. 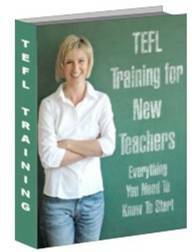 This is a book of ready made lessons for those teaching English conversation to students with limited English ability. The book focuses just on conversation- with easy to learn common expressions covering a variety of situations, model dialogues that students can follow, lots of role play situations, lots of fun conversation activities, discussion topics and games. The book is ideal for pair and small group work that maximizes the amount of practice students get using the language. 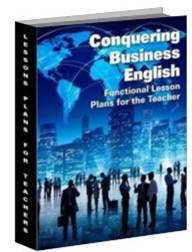 This is a text book for those teaching English in the hotel industry. The book contains easy to use, ready-made lesson plans specifically geared towards the hotel industry. Each section covers a specific function (such as greetings, requests, complaints, etc.) that hotel staff are likely to encounter on a daily basis. Each lesson plan contains common expressions used for the various situations, dialogues demonstrating the use of that language, practice activities (role play situations, discussion topics and games) and work sheets that allow students to practice using the language. 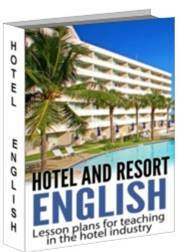 A book for those working in the hotel industry who have some English speaking ability but wish to improve their skills. 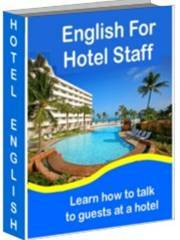 The book contains common expressions and vocabulary that hotel staff is likely to encounter on a daily basis when interacting with guests. Topics covered include greetings, handling complaints, dealing with guest requests, giving directions and much more. Also includes a FREE workbook with fill in the blank and matching exercises to test comprehension. A book designed for students with limited English writing skills that focuses on the basics of writing simple sentences and paragraphs. Topics covered include word order and sentence structure, verb usage (to be, simple past present, future, and present continuous), subject-verb agreement, spelling, article use, organization of paragraphs, topic sentences, supporting sentences, and concluding sentences. 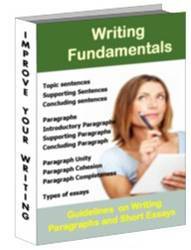 The book contains over 100 exercises and writing assignments that allow you to improve your writing skills. Also included is a list of most of the irregular verbs with the present, past and past perfect forms. 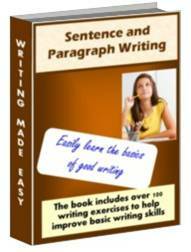 A book designed for students who have basic writing skills at the sentence level, but want toimprove their skill in writing paragraphs and short essays. Topics covered include the parts and elements of a paragraph and the different kinds of paragraphs, the parts of an essay and the different kinds of essays, thesis statements and their use and guidelines to follow when writing essays. In addition to lots of assignments for writing paragraphs and short essays, the book contains shorter assignments for using transition words (subordinating conjunctions),identifying and correcting sentence fragments and writing in the passive and active voice. 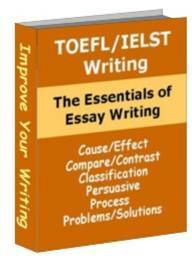 The book focuses on improving paragraph and essay writing for TOEFL and IELTS tests. The organization and essential elements of the different kinds of paragraphs and essays are covered. Included are explanations of and how to write topic sentences and thesis statements and handy essay checklists for the different kinds of essays to guide the write through the writing process. The book focuses on business vocabulary and situations students are likely to encounter- from how to leave the ideal voice mail to how to how to interrupt politely in a meeting. 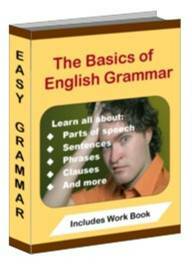 A basic and easy to read handbook of the most common grammar topics covered in beginning and intermediate English classes. A comprehensive explanation of English grammar elements. Learn how to identify and use the different parts of speech, the different types of verbs and verb tenses and aspect. Learn how to identify and use direct and indirect objects, complements, dependent and independent clauses and their functions in a sentence and the 5 different kinds of phrases and their functions. 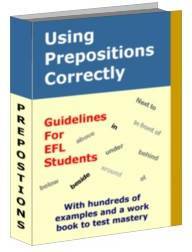 An illustrated booklet that is easy to read and written with easy to understand explanations of the different kinds of prepositions and differences in their usage. Prepositions of place, time and movement are included. A student workbook is also included which allows students to test their skill in using the prepositions in sentences. 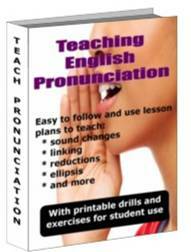 A book of exercises and drills designed to quickly improve your student’s pronunciation and listening skills. The book focuses on vowel sounds, consonant sounds, ending sounds, linking of sounds, contractions, reductions, sound changes, rhythm, intonation and stress, consonant clusters, and syllables. Exercises consist of the teacher reading words or sentences and students marking on their answer sheets the target sounds or filling in the blanks. 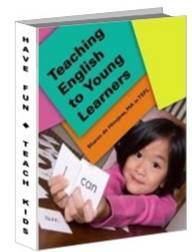 This e-book is set up into various sections chocked full of tips that will help understand how to teach young learners. In addition, at the back there are easy-to-modify lesson plans, activities, songs, and games to help you get started without too much stress. This book is written for those who may have some experience teaching conversation classes, but want to try something a little different. 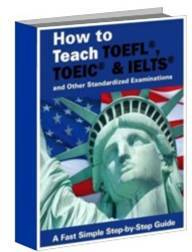 The book includes how to teach TOEIC, TOEFL, and IELTS exams, how to teach reading, writing, and listening courses, and how to teach Business English and ESP. This is a course for beginners and covers the basics of teaching English to foreign students. Topics include lesson planning, methodology, corrections, board work, discipline, gestures and cueing, and much more. 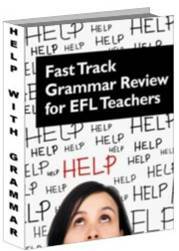 Additional sections provide specific tips on how to teach grammar, pronunciation, reading, writing and listening. A weekly step by step guide of the things you need to do in order to teach overseas. Topics covered include documentation needed, resumes/CV’s, researching and contacting employers, insurance, financial concerns, visas and passports, what to take with you, adjusting to a new life overseas and much more.